Regular Rate $2649 . Today Only $1097! Located in the heart of beautiful Banderas Bay on a long stretch of golden sand beach, sits the oceanfront Puerto Vallarta Luxury Beach Resort. With the stunning Sierra Madre Mountains in the background, and only 10 minutes from the Puerto Vallarta International Airport and the world famous Malecon in Old Town Vallarta, Puerto Vallarta Luxury Beach Resort has an ideal location in the Hotel Zone where guests will find an array of activities, shopping, nightlife and fine cuisine just minutes away. Puerto Vallarta Luxury Beach Resorttreats families, couples and singles to an Unlimited-Fun getaway where everything is included. 320 guestrooms and suites feature a private furnished balcony with stunning views of the bay, a mini-bar, air conditioning and a flat screen TV. Relax and refresh by the pool or ocean while children of all ages are kept entertained with a variety of supervised activities. The Kids Cluv, ages 3 to 12, provides kids with daily programs while the Teens Club offers teens aged 13 to 17 the chance to really cut loose and have the time of their lives. Enjoy Live Music And Local Entertainment In Outdoor Theater, The Kids's Club And More! All rooms have 2 double beds or a king size bed with private balcony. All rooms have been totally redone with a combination of onyx, wicker and marble. These rooms are equipped with a large flat-screen TV, a clock radio with stereo sound, and features for iPod, iPhone & MP3 players. 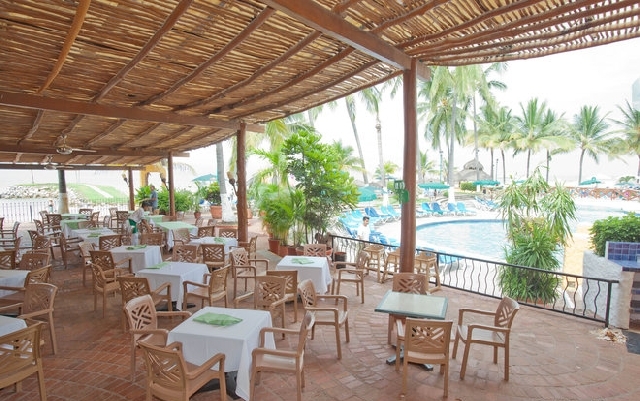 I've visited Vallarta before and would like to mention that it is a really nice place to stay. We've travelled with an all-inclusive plan and I enjoy this place. Can't ask for a lot when your paying little money. It was really affordable for me to brig the family since it was really cheap to stay at this place. I would really go back !!! We stayed in this resort last christmas and it was amazing. They had awesome theme nights by the pool with very good food and entertainment. We especially enjoyed the New Years event, which included an amazing dinner. The resort also had wonderful staff that tried hard to make the guests feel happy! Special shout out to Carlos and Gustavo! "Very nice resort in its price category"
The staff is amazing, they try very hard to make the guests feel comfortable. The rooms are clean an spacious, all rooms have amazing ocean views. Air conditioner is adequate, but there is no wi-fi in the main building rooms, you have to go to the lobby / pool area / restaurants for connectivity. On the plus side, wi-fi in the common areas is free with decent quality, you can stream your favorite show from the US and use Skype with no problems. They give you access code at check-in, the code is good to connect 3 devices. If you need more, just ask for another code. The food is good at the buffet, with made-to-order eggs in the morning and such. Nothing super fancy, there is no lobster, of course, but you have your choice of meat, chicken, fish, shrimp, and vegetarian dishes, as well as salads and deserts. The waiter will always ask if you want anything to drink, and will bring your choice of cocktail. 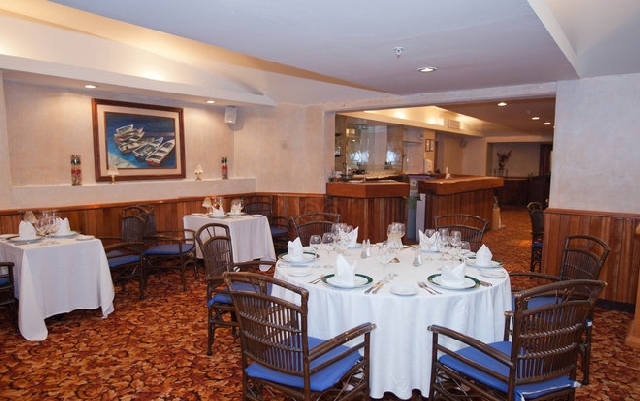 There are also 2 formal restaurants, but you need a reservation to get there. If you have kids, your only two choices of seating at the formal restaurants are at 6 pm and 7 pm. To make a reservation, you need to be at the lobby before 9 am. All available spots are gone by 9:20. 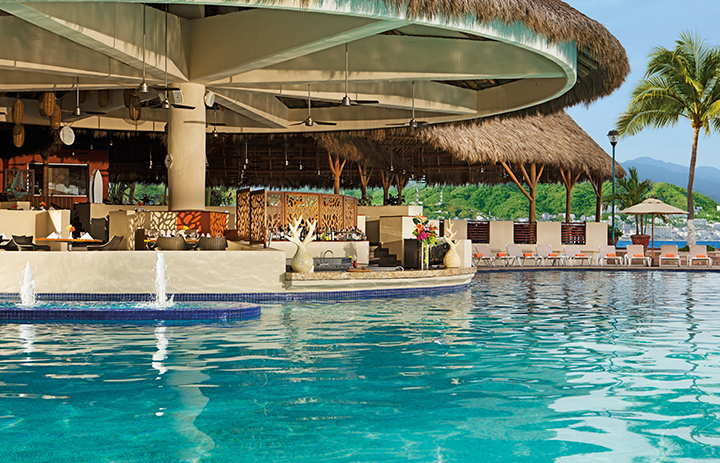 You have to also reserve a spot at the beach early at the morning, if you want to be under a palapa. It was not a problem for us, since we like the morning sun and the ocean is just gorgeous in the morning. It might be a problem for those who like to party all night and to sleep till noon. Once a week they have Mexican Fiesta, with great variety buffet in the courtyard and a show with a Mariachi Band, Mexican dancers, kids entertainment, and such. We really enjoyed it! To find out about such events, though, you have to ask at the front desk. There are no posted events, at least in English. Overall, it is a nice hotel in its price category. They had a great mix of guests - Americans, Mexicans, students from Europe, etc. If you like to mingle with different kind of people from everywhere - that's the place to be. If you'd rather rub elbows with the rich and snobbish, book a 5 star property. "Clean, Comfortable, Convenient All-Inclusive Resort in Puerto Vallarta, Mexcio"
This is an older all-inclusive resort. The rooms were clean and the food was good. The scenery was spectacular (right on the water) but the bay water was not very clean. The pool water was clean, but very warm. The staff is attentive. There is a buffet open for all meals, and two nice restaurants by reservation only (be sure to make reservations early in the day). We were there for a week. They had several evening shows (game-type, Mexican mariachi band, dancers, etc.) Huge swimming pool with walk-up bar; separate small pool for adults only and separate pool for children. Activities (game room, etc.) available for children. Wifi was free and fairly reliable. "4th year and will be back again next year!" My adult children and I stayed at the Holiday Inn April 11-18, 2015. This was our 4th year in a row staying at this wonderful resort. We keep coming back because of the amazing service from the time we get out of our cab upon arrival to the time we get back in a cab to leave. We were welcomed "home" by the bell man and our favorite beach waiter Enrique greeted us with our favorite drinks on the beach. The staff everywhere in this hotel are so friendly and attentive. Our room was clean, we had a view of the pool area and ocean, and the maids cleaned the room immaculately every day. Everyone at the resort works extremely hard to make sure you enjoy your stay. We have even made some good friendships with the vendors on the beach who remember us year after year. I believe that a smile and a friendly attitude goes a long way and if you treat others the way you would like to be treated you will receive in return. We love everyone at the Hotel and will continue to go back. I am already looking to book for this next winter/spring. Thank you Everyone at the Holiday Inn and Resort PV for making our vacations so wonderful! We stayed at Holiday Inn Resort during our trip to Puerto Vallarta. It was an all-inclusive vacation. We were provided transport from the airport itself and were served welcome drink upon our arrival at the Hotel. The room was ready but the bathroom was smelly. Immediate action was taken to clean it and we were also moved to another room facing beach. Holliday Inn has several Restaurants and food choice is in plenty. The staff is friendly and courteous. The room has locker facility. The resorts is centally located and taxis and buses are available outside the Hotel. The overall ambience of the Hotel is very good. Internet facilities were available on the main floor. We would love to go there again. "Our usual March or April getaway"
or We have stayed here on a all inclusive vacation now times The place is very clean and friendly. And the deals you can find are great Try looking for 9 or 10 night deals as this year we found a 9 night deal just a few dollars more than the week 7 deal, So got 2 extra days in the sun. Location is out near Marina but only a 20-30 min walk to downtown or a short bus ride. The did a lot of improvements this past year. New towels, new beds and new palapa;s on the beach. Find the wifi poor though so this year did not even take the laptop. Picked this hotel due to location and more quaint resort area with ease of access for traveler with difficulty walking due to surgery. Did not disappoint. The layout of hotel was convenient with good access for persons with disabilities.An older hotel, but clean and very comfortable. The staff was amazing, service impeccable, hard working staff and very accommodating. Shout out to Miguel the bartender, making drinks we invented each day, our favorite pool side waiter Miguel , and all the waiters in buffet! The entertainment guys were much fun, always full of energy, and ladies I recommend the morning Zumba class.... +34 in mornings was way too hot to do the class for this gal, but I had way too much fun watching the fellas teach the class from my cool dip in pool! I stayed last year at a 4.5 star in Puerto Vallarta and that hotel could not compare with the service we got here! This was our 4th trip to the Holiday and it proved to be a welcoming as in previous years. The staff is so wonderful and both Juan Carlos and Miguel remembered us for last year. The service is so personal and it made us feel more like family than guests. The girls loved playing volleyball and all of the shows at night. The circus show was a particular hit! Overall it was a great time and we would definitely go back! This was my second visit to Holiday Inn Resort Puerto Vallarta. I was there from April 13 to April 27 2015. The check in was a breeze. The room that was given to us was not to our liking so the Bell Boy Juan graciously took our luggage bag to the front desk. The front desk informed us that the hotel was fully booked and he would put a request in for another room. And in the meantime to stay in the room that was assigned to us. The Bell Boy Juan once again brought our luggage back to the room. We personally want to thank Juan for the excellent service that he gave us. Next day the front desk called us and informed us to come downstairs with the bags so that they can assign us with a new room. We want to give a big thanks to Louie Angel at the front desk. He went over and beyond to settle us in the new room. The beds were comfortable and pillows were soft and fluffed up. This hotel is very clean and they keep it clean at all times. The cleaning staff are at it all the time cleaning and this time I also noticed that the stairs were scrubbed and washed regularly. The pool was sparklingly clean. My special thanks to cheerful Maria who not only kept our room clean but always had a smile on her face. The cutest part with her was she spoke in Spanish and I conversed in English and somehow manage to get our point across. All waiters were extremely helpful and busting with happiness to serve us. Jasmine, sweet Jasmine at the omelette section. She knew exactly how we wanted our omelette. This time I noticed that the snack bar had a lot of varieties. My thanks to Elano, Belantino and Cesas. My special thanks to Naomi who went over and beyond to serve us. The food at the buffet had lots of variety and very appealing however after 14 days it does become a little tiresome. We did not go to a la carte. The water at the buffet was distilled and safe to drink. The water in the rooms were purified and safe to brush your teeth with and take shower but I would not drink it from there. My special thanks to Salvador for keeping us entertained throughout the day. 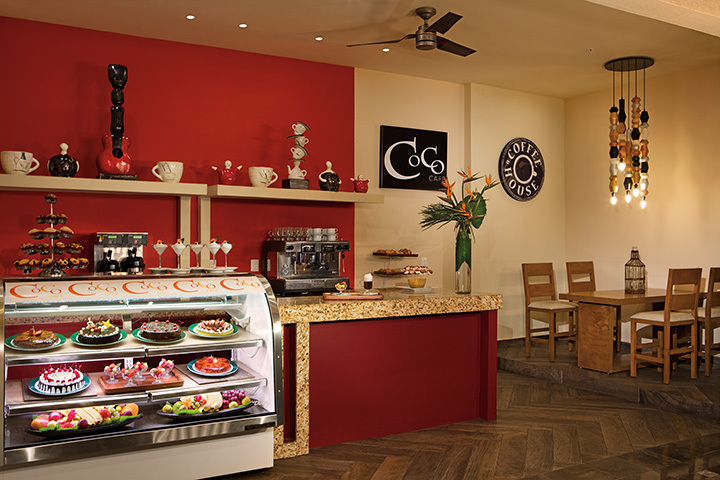 "Second visit and food services were greatly improved." on my first visit i was left a bit feeling like i did not enjoy the food as it was always served luke warm. that was in 2014. this year the food was warm and tasty. the services were excellent and if i travel to that area again I will stay there. Staff are more then helpful, english was not a barrier. "Above and beyond my expectations!" We just got back from spending a week (Apr 20-27) at the Holiday Inn Resort. I'm happy to say this hotel surpassed everything we had expected! I read the reviews before going so was ready for anything. Yes the hotel is starting to show its age, but the staff work tirelessly and are unbelievable. They did everything in their power to make our group welcomed and have fun. The pool staff were amazing, our favorite was Miguel. This man was a champ! The only downsides we had was again the hotel is showing it's age, needs some TLC. And if you were sitting anywhere near or on the beach, the vendors were relentless. That being said; we had a blast and would be very willing to return! "Beautiful pool and the pool and bar staff are fantastic"
The recreation guys at the pool are great with activities planned through out the day, they even attend night time shows and have games before the fiesta. The bar staff are always bringing drinks just as you finish one another will be waiting. Excellent! I've recently come back from my week trip to Puerto Vallarta booked with WestJet Vacations with 3 of my girlfriends. At the time of booking I went straight to TripAdvisor to check if it was any good and it was mixed for me. My friends and I decided to book it anyways (it was at a price we couldn't deny) and hoped for the best. All I have to say is to not listen to any of the overly negative reviews. Going into the resort I had lower expectations because of the negative reviews. Once my friends and I arrived we realized that pictures don't do it any justice. Very clean and well kept! I agree with other reviewers the building is showing its age but it's not a big issue to worry about. The reason why the hotel has people coming back is because of their wonderful staff! The hotel staff bends backwards to make your stay as comfortable as possible. The employees that stood out the most would be Angel and Miguel, our servers from the buffet restaurant, Miguel the bartender, and the Bell Boys who I didn't catch the names of (sorry). A piece of advice if your room is missing anything, all you have to do is ask and they'll send it up right away. Location is good, close to the Marina's pier if you need to take a boat for any excursions, and also close to supermarkets and shops if you need to grab some essentials. Food was good when it came to Lunch and Dinner. Almost every dinner they had a theme going on. Breakfast got a bit repetitive but you can't go wrong with just a bowl of cereal if nothing else appeals. As for the seats situation I found it easier to find seats near the beach than near the pool. The hotel has a purified water system so it's safe enough to brush your teeth with just not recommended to drink. For alcoholic beverages, the bartenders are very generous, especially with the shots. One thing my girl friends and I were concerned about was our safety.We were assured us that the city of Puerto Vallarta is very safe and they were right. This is one of the things not enough reviewers add into their reviews. just spent two weeks during easter at the holiday inn and had a blast. the staff were exceptional(everybody treated us like gold), the rooms were kept super clean(and most comfy bed we slept in ever in all the years we have traveled), the food was good( a little more variety maybe) great snack bar and italian al acarte. great location,close to everything. special thanks to Miguel,jorge, naomi and "henry" at the pool bar. "Great Location, Great Staff, Lots of Fun"
Just returned from a week long stay at the Holiday Inn with 2 girlfriends. After reading some of the negative reviews I kept my expectations low. But I was very pleasantly surprised. The hotel certainly exceeded my expectations. As many previous reviewers have said, the staff go out of their way to accommodate you. Always making sure you are well cared for. The front desk staff were very accommodating and efficient at check in. When we requested an upgraded room they were more than happy to get us into a better room. The waiters/bartenders at the pool, I can't say enough about them. They work hard! Enrique and Miguel especially, always greeting you by name with a smile. As far as getting chairs by the pool... yes, if you're not up at the crack of dawn, forget it. People do reserve early. But again, the staff are more than happy to help you find chairs if you ask. Food was good. Always a good variety. The staff in the buffet are always willing to get you what you ask for. If you don't see it, just ask:) Adrian... the organizer of all things food was always going above and beyond! I even got a special, personalized piece of cake for my birthday. By day 2 we didn't have to ask for bacon, it was just waiting for us. 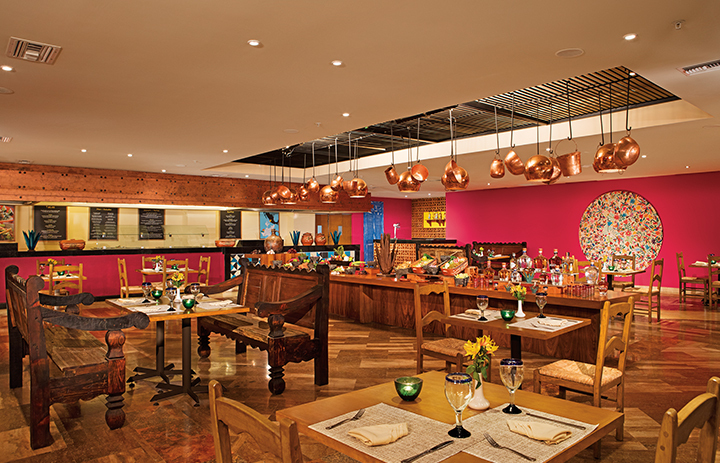 Both the Italian and Mexican ala carte restaurants are good too, a nice change from the buffet... don't forget to make reservations. Overall I would recommend this hotel... bare in mind- it's not a 5 star and the price reflects that. So if you are expecting all the amenities of a 5 star, this isn't the hotel for you. But for the price you pay, the value is great. Regular Rate $ 2649 . Today Only $1097!